We offer two different ways to integrate with Zendesk: Batch Mode and On-demand Mode. Our platform uses by default Batch Mode since it provides a more robust integration. Batch mode allows a wider range of filters, included advanced/customized filters based on tickets’ Metadata. 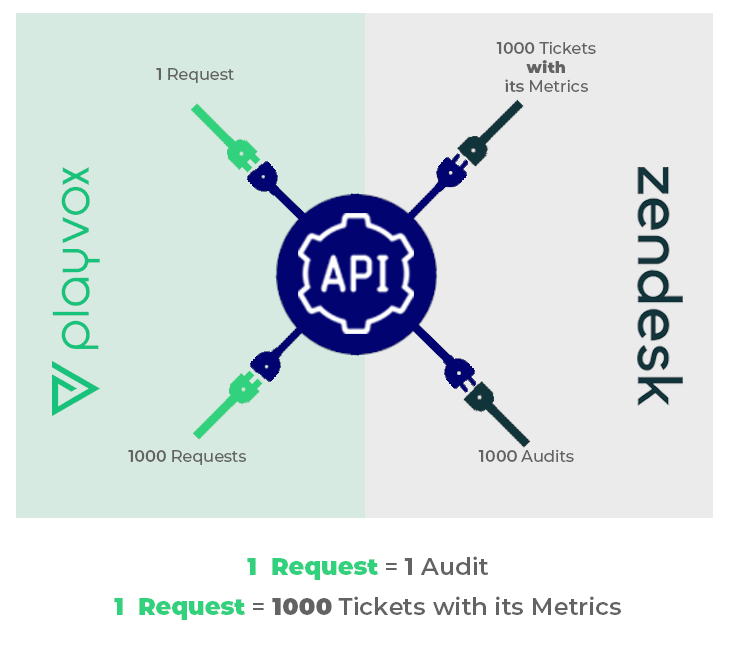 In this case, we retrieve and store Metadata in our platform and it’s used to build filters and their resulting ticket list - if there’s sensitive metadata you don’t want to be stored by PlayVox, then you can contact your CSM and request for it not to be saved. Tickets’ in-depth details are only retrieved on-demand when you explore them within our platform - it is never stored at our end. *Audit: When a ticket is updated in Zendesk Support, an audit is stored. Each audit represents a single update to the ticket. An update can consist of one or more events. If you’d like to, you can request your integration to be set on-demand mode rather than on batch, simply let your CSM know about and they’ll make it happen.